The Beatles 50 Years Ago Today: May 8, 1968. Beatles Radio: The Beatles, Solos, Covers, Birthdays, News The Fab 4 and More! 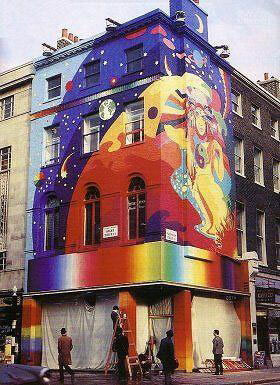 It is reported that The Beatles have been warned that they will have to remove the psychedelic paintings on the Apple Boutique's wall. Public outcry about the painting from nearby businesses was quite intense.